All package types (carton box, flow pack, carton disc) are standardized in euro pallets which are properly stored until their transportation. 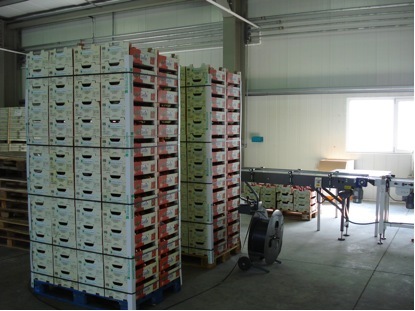 Each package is marked with a “product code” where crop variety, type of package, product class and date of harvest can be traced. 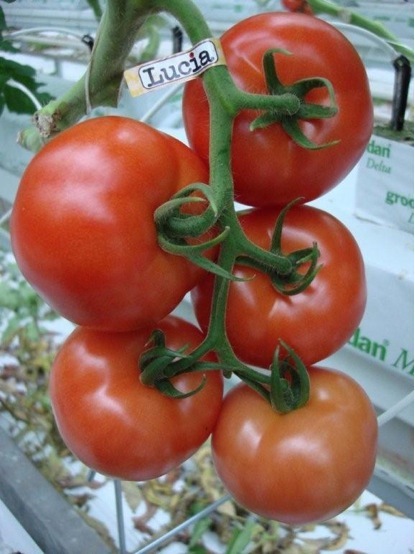 Each tomato cluster is marked with a label showing the brand name of the product. Each pallet is marked with a pallet card where a pallet number and the “product code” are labeled. Besides the above labels, each package is marked with all information required by the relative EU legislation.